A Michigan groom's bachelor party was hijacked in the best way when a dog showed up to the cabin he and his friends were staying at and stole their hearts. 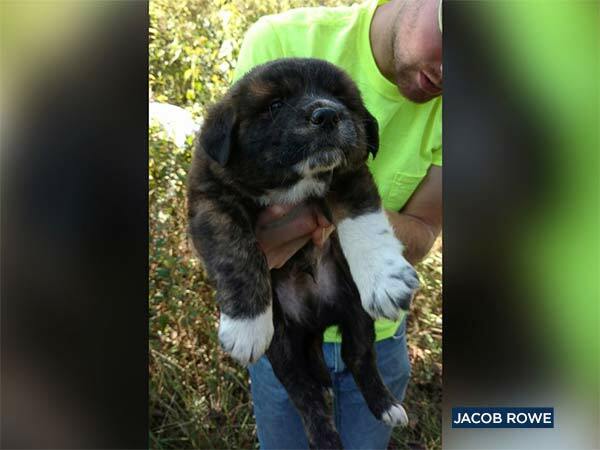 VICKSBURG, Mich. -- A Michigan groom's bachelor party was hijacked in the best way when a dog showed up at the cabin where he and his friends were staying and stole their hearts. Mitchel Craddock of Vicksburg, Michigan, took family and friends to the woods in Tennessee for his bachelor party. The first morning there, they noticed a dog outside the front door. "We were cooking bacon with the door open. The next thing you know, there's this dog sitting right at the front door. 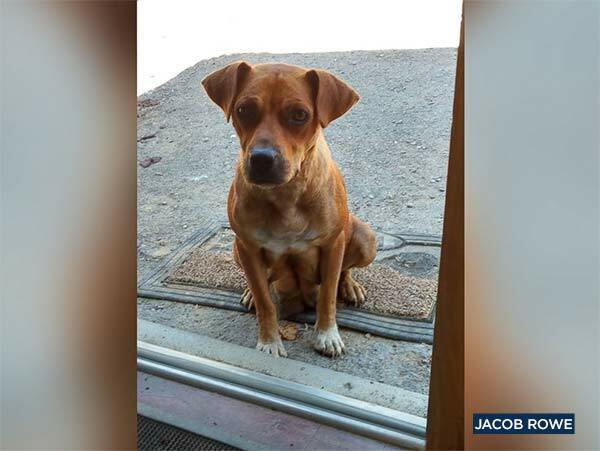 She wouldn't come inside, but she sat right there," he told ABC News. 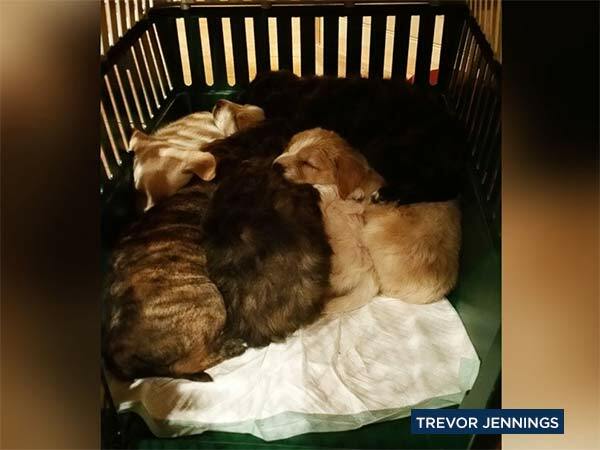 A groom and his groomsmen's bachelor party in Tennessee was taken over when they discovered this dog - a mother of seven puppies. Each of the puppies were rescued from the woods, washed and fed. The groom took one of them home and the rest were adopted by the groomsmen and their relatives. Then they noticed the dog was protecting a spot in the woods. There, they found a big hole with puppies - seven of them. Although the pups had to be washed to get dirt and fleas off, Craddock said he was surprised by how healthy they were. 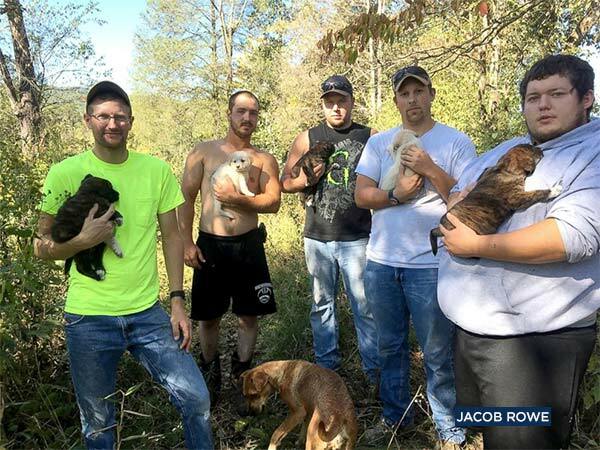 These men didn't expect expect to be caring for puppies when they left for the woods in Tennessee for a bachelor party.